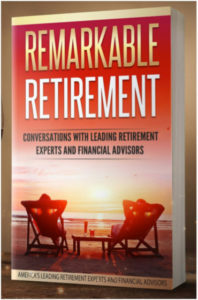 To receive your FREE REPORT, Do you know if you are making any of these Top 10 ½ IRA distribution screw ups many retirees make that could cost you a fortune and jeopardize your retirement security?,go here. As you are listening to this you are probably thinking that the problem is investment problems –well it isn’t. Its not RMD which is sometimes very confusing to people, Its not even the taxes – although that is often the most misunderstood. The biggest problem is unfortunately the easiest to fix and that problem is YOUR BENEFICIARY DESIGNATION. That’s right. It would seem this is so simple. But you must make sure that you have a designated beneficiary on your IRA accounts or rather ANY beneficiary designated account and/or retirement account. The Beneficiary Designation Form trumps your will – This was actually made clear by the Supreme Court so there is no fighting this. Filling out the Beneficiary designation form correctly is critical. 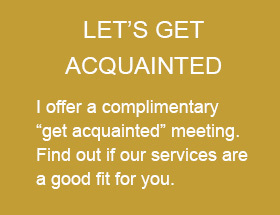 In my practice I see clients who come in with sophisticated wills or trusts. When I ask about the IRA it is often the largest asset. When I ask what the Beneficiary Designation form says they look surprised. They have no idea what the form says. Many cannot even find the form or remember when they last reviewed it. And if you don’t have a designated beneficiary on your accounts big big problems begin to happen. You may not like the result. Frequently it goes to your estate. This is the last place you want it to go. These problems could cause the IRA to become part of your estate which will in turn cause the IRA to lose its tax favored status and be subject to probate. Causing big problems for those for whom you intended to leave this IRA to. It is also very important to understand that you as the IRA owner also have to make sure to name the RIGHT person to inherit your IRA. Have there been any changes in your life, such as marriage, birth of a child or grandchild, divorce, job change, retirement, a death? Remember that your will cannot change the beneficiary of your plan! It is imperative that you review the beneficiary form regularly. This is basic, but unfortunately many get it wrong. Tax time is actually a great time to review your IRA beneficiary designations and make sure you have done it right. Remember it does not matter what you think it is, or whom you wish it was. The only thing that matters is who your custodian has on file when you submitted your beneficiary designation form. In addition, it is important that You have named a backup or contingent beneficiary. If you do not name a contingent beneficiary then who knows who gets the money. The Probate Court will most likely be in charge again. Example: you name your spouse as the only beneficiary. If your spouse dies before you, there is no beneficiary so your IRA will be liquidated, taxed and what is left will be distributed to your estate. It is a good idea to name someone, say your children, or a charity as contingent beneficiaries. If you name backup beneficiaries then the IRA has a chance of getting it where you want it to go. The difference between effective planning and getting it wrong can cost your family thousands and even millions of dollars. Done correctly your retirement plan can preserve some significant funds for future generations to enjoy. The rules surrounding retirement are already difficult enough so don’t complicate it further by messing up the simplest part. 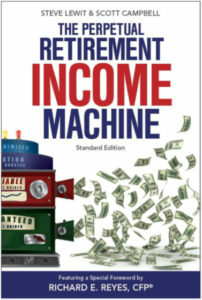 To get our FREE REPORT 10.5 IRA Screw-Ups and How to Avoid Them go here.